At 828 International, we never sit still. 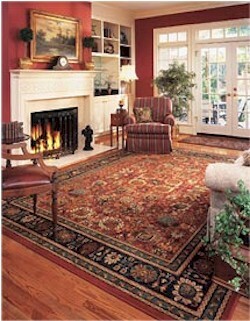 Our company is driven by the desire to deliver rugs of unsurpassed quality and style. To that end, we travel the globe to create rugs that exceed your expectations. From Belgium, England, China and to Turkey, and India, we work closely with leading designers and manufacturers to bring you exclusively licensed collections that cover a wide range of fibers, weaves, designs, sizes, colors and price points. In just a few short years, 828 International has emerged as a leading supplier to many of the nation’s top retailers. Our pride in this growth is surpassed by our priority to treat each customer like family. We believe in providing exceptional customer service and support that belief with an extraordinary distribution system and top-notch team dedicated to bringing you what you need when you need it. We invite you to journey with us to the world of 828 International and discover why people are sold on the elegance and luxurious feel of our rugs before they ever see the beautifully affordable price.